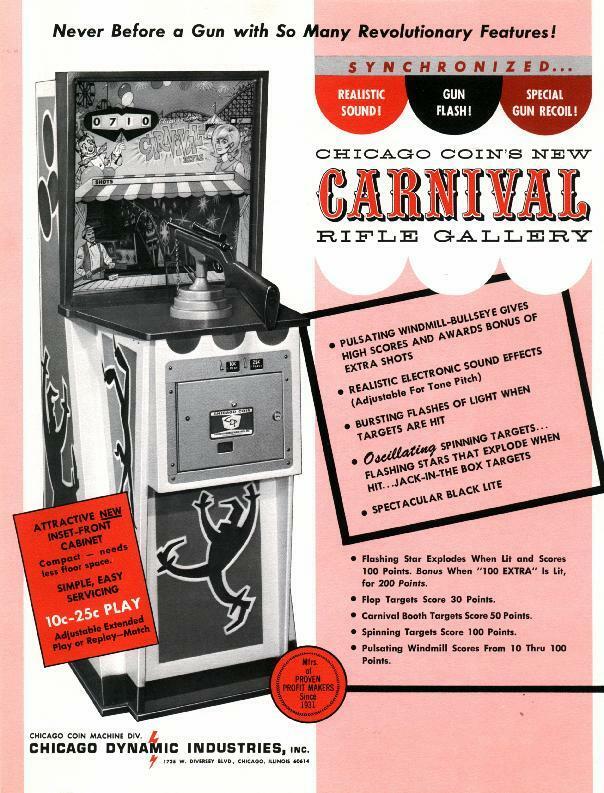 Description: Carnival Rifle Range, Chicago Coin, 5/68, electronic sound. 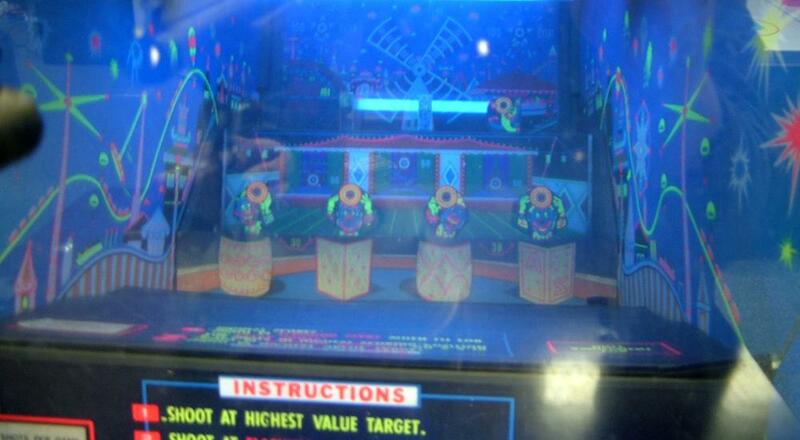 Twenty shots per game, unlimited time. 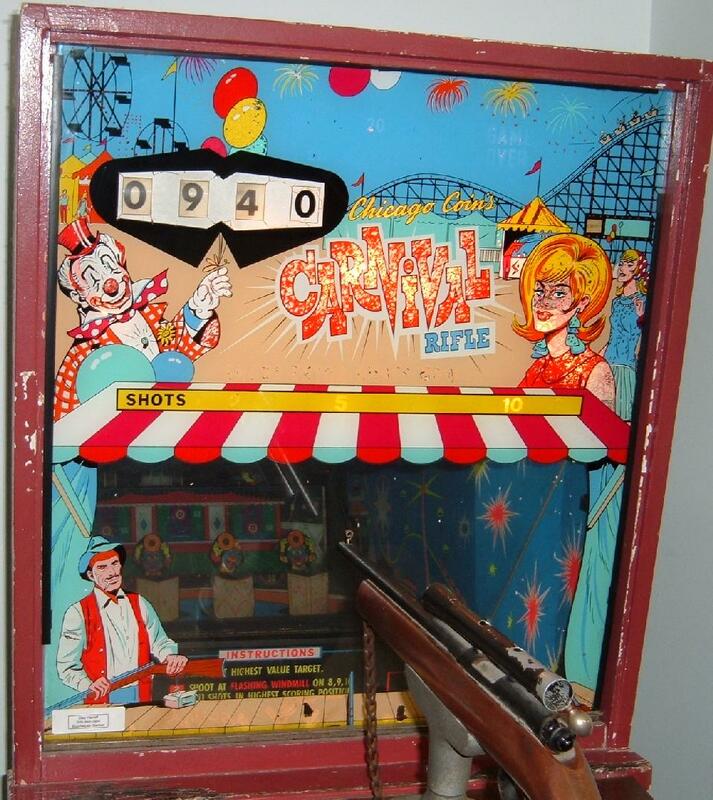 If game set to 'extended play' and player reaches a score of 2100 to 2900 (operator selectable), another game is immediately awarded and run. If game set to 'replay' then a credit is added to the credit unit. 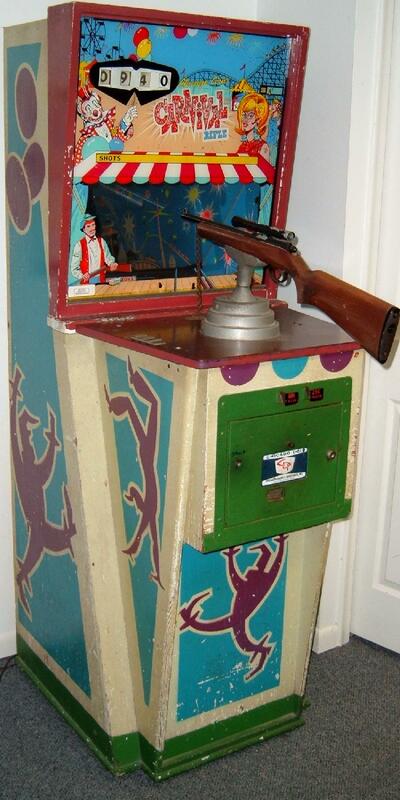 Electronic sound is very minor, just a richocet gun sound (adjustable for pitch). Bell uses for scoring sounds.